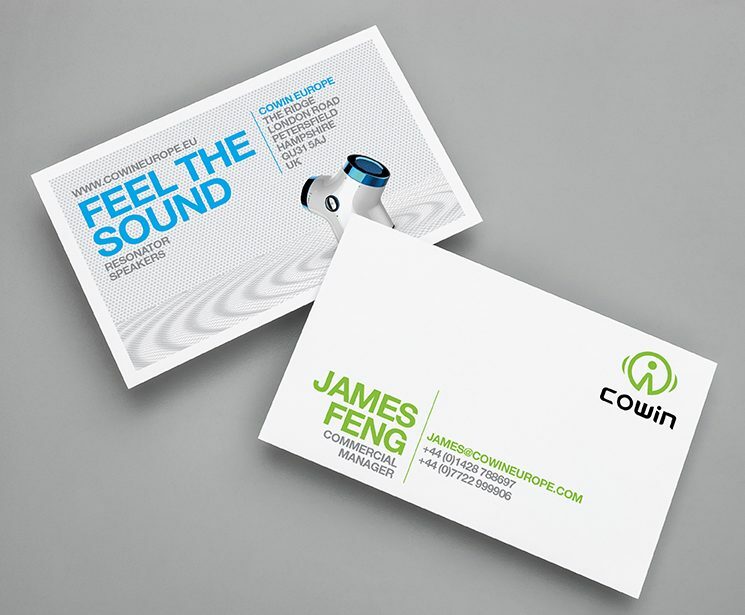 Cowin. 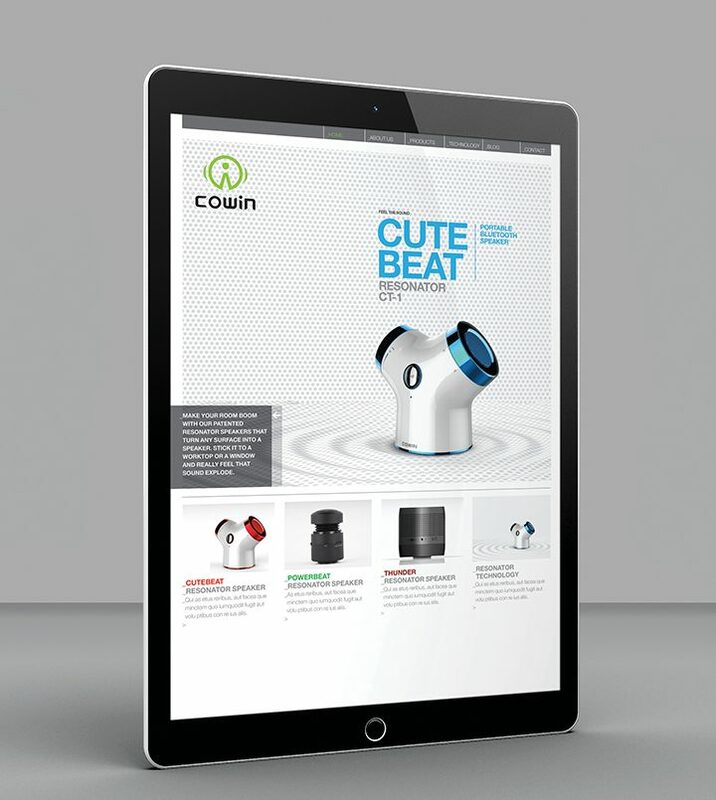 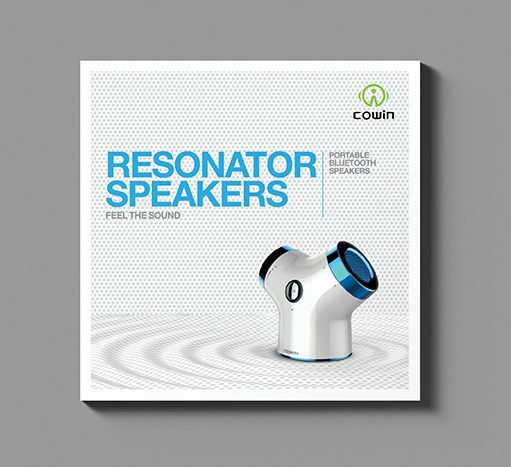 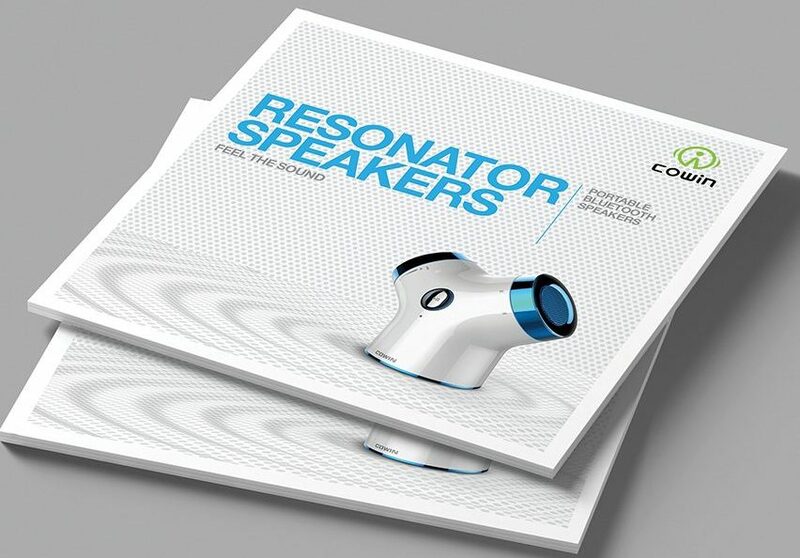 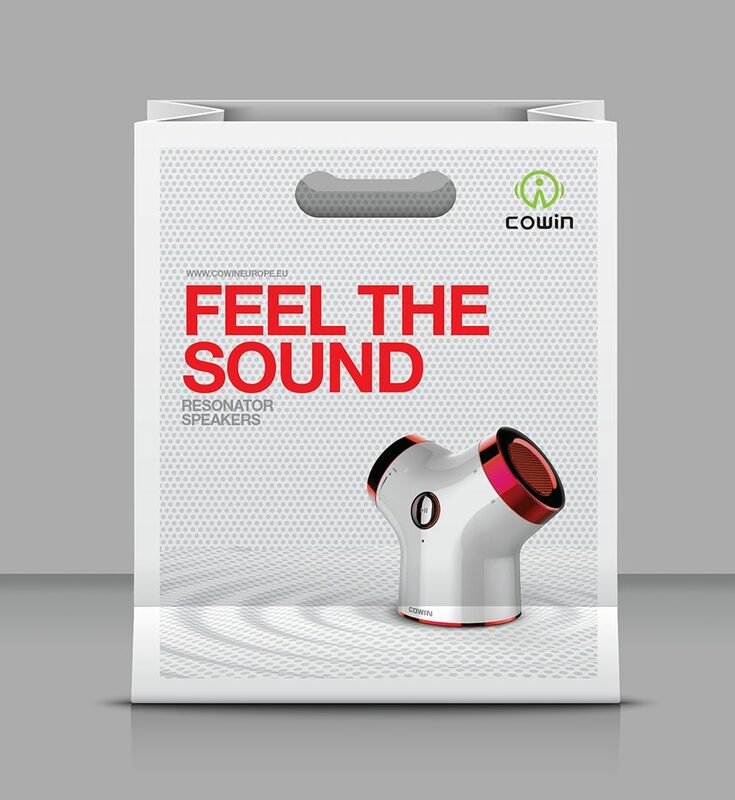 Our challenge was to communicate that Cowin’s speakers turn the entire surface they are sat on into a speaker. 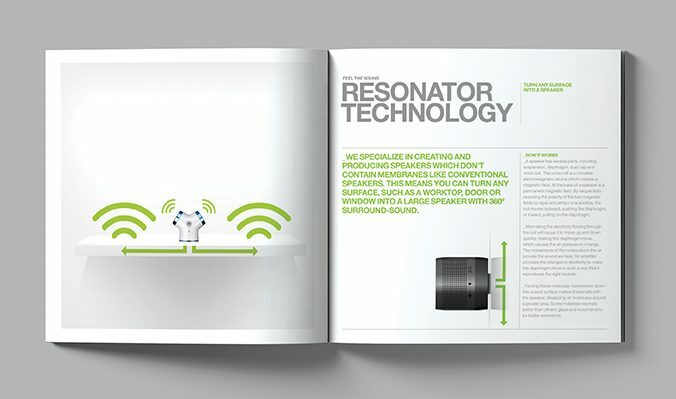 Our solution was to show the surface as a speaker itself, reverberating in sound waves. 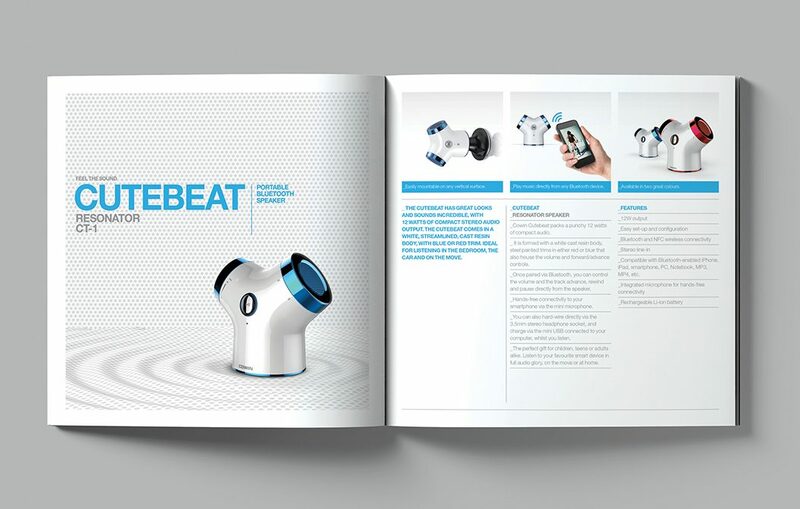 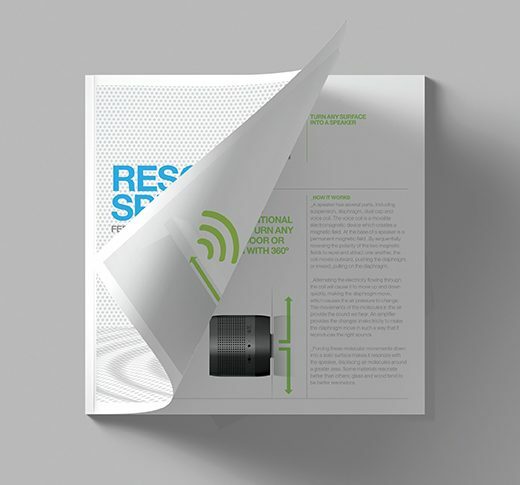 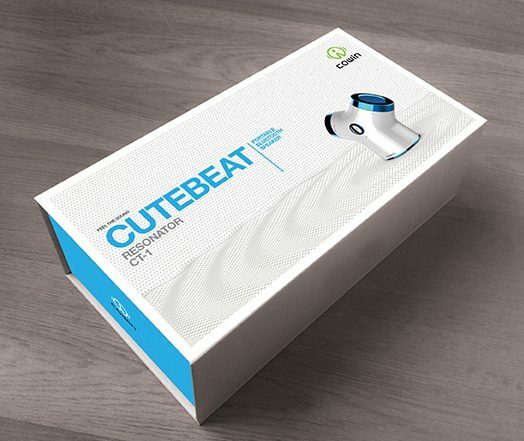 We then rolled the communications out to product packaging, brochures, stationery and online.